PDF provides a secure way to save information since virus attack does not easily compromise it. It has become a popular way of storing professional data. As experts keep using PDF file formats, the need arises to modify the content of the PDF. For instance, users may need to add texts, comments, images, sign or even change the page numbers. All editing functions will require a PDF editor. In case you want to have full control of your PDF document, then this article offers a solution by listing top 5 PDF editors. PDFelement 6 provides a simple and the most powerful PDF solution that changes how you work with your valuable documents. It delivers a better way to turn the office documents. You can convert standard PDF files to more enduring PDF/A formats which can be archived for the long term. The windows version also lets users scan and digitalize paper documents to editable PDFs. With the upgrade of version, the OCR is faster and it has a high precision and an efficient memory usage. The beauty of this OCR language is that it supports over 20 languages thus you can scan a PDF that is of any supported language and edit them. PDFelement 6 also ensures that you have the control over your PDFs. You will be able to edit your PDF by modify texts, changing fonts, and editing font style without losing the PDF formatting. Its editing tool allows you to edit texts per paragraph or by single line. You can also bookmark PDFs so that you can check links or any external source on your PDF. Moreover, PDFelement 6 enables you to review and comment your PDF. It has different annotations such as sticky note, comments and text box. You can also add mark-ups, highlight, draw lines, insert shapes and use its multiple in-built templates. PDFelement makes you productive by allowing you to remove all these reviews and comments in a batch. Other than formatting texts and fonts, PDFelement supports modification of PDF pages. You will be able to reorder pages, delete pages, and rotate pages and much more. Furthermore, It is a PDF form creator. It not only create fillable forms but also allows users to make form templates or draw templates from a library of more than 8000 forms that are commonly used in most industries. After creating the PDF forms you use PDFelement to fill out, extract data and export data from image-based PDF forms to Excel. Other features that you can benefit from using PDFelement is protecting PDF files with passwords, redacting data, merge PDFs, convert PDFs, create PDFs, and signing PDFs electronically or digitally. Nitro Pro is another powerful PDF editor which is easy to use. The software provides facilities for PDF editing, creation, digital signatures, from creation commenting and optical character recognition (OCR). The OCR makes it easy for you to transform scanned paper documents to truly editable PDFs. This OCR features supports 9 languages. The new version adds more improvements including more performance enhancement and integration with Google Drive, Box, One Drive, and Dropbox. It is easy to open and save files directly to the cloud storage services. When it comes to editing PDFs, the tool makes it breeze to rearrange images, change text, create forms and more. You can also alter the order of pages, and it is also easy to sign a PDF through the QuickSign shortcut. Nitro Pro 11 does not support converting PDF to EPUB, HWP, HWPX, HTML, GIF and BMP. Soda PDF is created to help you perform any PDF task. Apart from editing the content of your PDF document, it helps convert to any file, and it can generate PDFs from more than 300 file formats. Besides, the tool helps create custom forms and annotate the PDF files. You can also send and track your files for electronic signatures. Soda PDF lets you modify and customize the structure of your documents to suit your needs. With Soda PDF, there is no more retyping since the OCR can turn scanned images and documents into editable PDFs. The software provides advanced security and collaboration features. It is easy to adopt, and it increases productivity. More importantly, you can access all the functionalities in the cloud from any mobile device. Lastly, you are ensured of professional data protection with the 256-bit AES password. Foxit offers functionalities that user expects at a keen price. It has a modern user interface which is easy to use. Foxit offers tutorial videos and easy to access support to help users use the software without any limitation. Foxit provides users with various editing options such as signing PDF, annotation and inserting texts. You can edit text in a paragraph without being worried about the layout. The text reflows automatically as you edit. The tool ensures access to advanced editing capabilities for PDFs with the more complex layout. For instance, you can join, link, or split text blocks to connect text for more editing. You can also move and resize text blocks to make the layout more compelling. The tool also helps generate PDFs through Conversion of other file formats. You can also create forms with fillable fields and convert PDFs to Office documents. Adobe Acrobat DC provides one of the best PDF solutions. It provides users with functions such as creating, editing, converting and managing PDF documents on any device. With the Adobe Acrobat DC, you can capture and turn any document into a high quality, versatile PDF. The Acrobat DC makes e-signing capabilities easy in more than one billion devices. Anyone can legally sign a document with a finger-touch enabled device. The Adobe Acrobat DC also makes it easy to send, track and store the signed documents. The adobe acrobat gives users the access to PDFs while maintaining the highest level of security of records. If you do not need many editing features, then the adobe acrobat DC ‘s standard version is cheap, and it can offer the basic editing features for you. With Adobe Acrobat DC, you can store your PDF in the cloud and collaborate with them on others. The disadvantage of Adobe Acrobat DC is that it does not support the OCR feature. 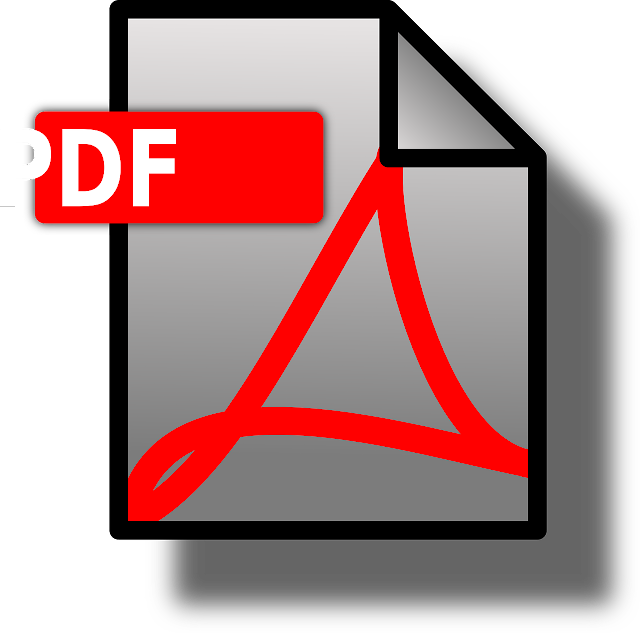 Editing PDFs has been made easy by the introduction of advanced PDF editors in the market. Working with PDFs is not easy without these tools. PDFelement 6, Nitro Pro 11, Soda PDF, Foxit and Adobe Acrobat DC offers some of the best options for PDF editing functions. The features and prices of these products have been discussed in this article and you are now spoilt for choice.